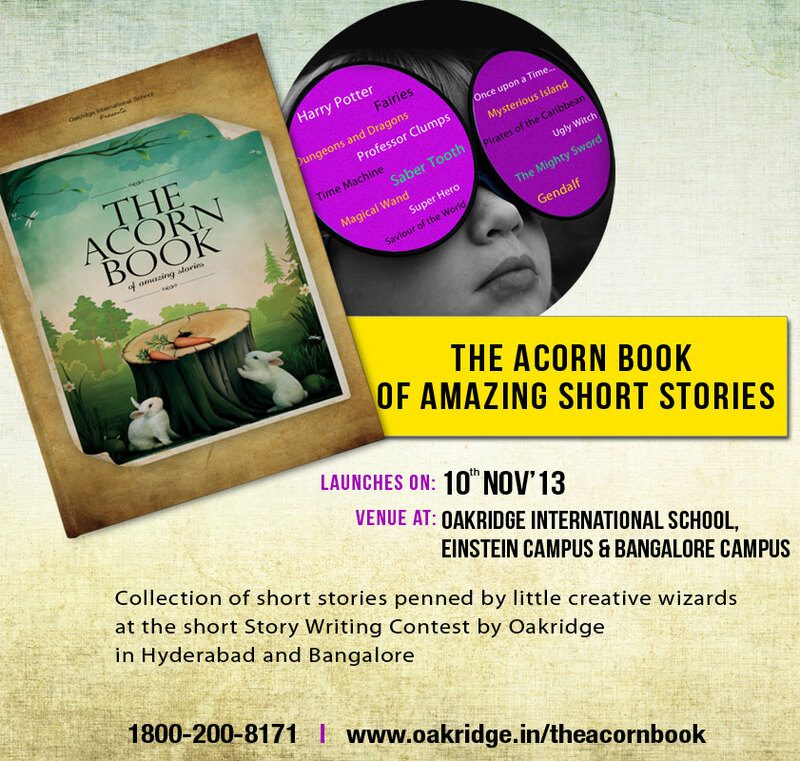 Announcing the Grand Launch of The Acorn Book – Collection of amazing short stories penned by children as a part of Oakridge Short Story Writing Contest conducted at Hyderabad and Bangalore. Please join us to witness the launch of this first-ever publication by Oakridge on 10th Nov, 2013 at Oakridge Bachupally Campus. For Details on the Admission process call#8501876622.